My next-book-to-read system still being whatever their position is on my shelf, I have inadvertently ended up reading two 'young adult' books in a row, which has made me feel either young again, or very old; I'm not sure which.Mind you, the actual content of this one didn't matter that much; sometimes it's what a book represents that's important. I bought this on my favourite day of 2011, when my daughter and I took a day trip to the Isle of Arran, one of my favourite places to spend time. The local cheese, chocolate and beer is exceptionally delicious and I always take home plenty when I visit. So when the wee bookshop in Brodick had this featured as 'Local Author', I knew I had to sample Arran's local fiction too.It's a sweet, if occasionally slightly clunky, story, with the advantage of much of the scenery being familiar to me. Character-wise, Cal and Jess had a nice sibling relationship you could imagine being cutely played by Michael Cera and Zooey Deschanel-types. Unfortunately, little was added by the change of POV to Elaine, who was horribly underdeveloped.Despite its faults, though, it has a permanent place on my shelf due to its links to my memories of my gorgeous wee girl splashing in the sea (at six o'clock in the evening! In Scotland!) on that perfect day last year. Plus, I feel a bit guilty about being rather deprecatory about her in my last review. Yet another book that I didn't like. I don't like that I'm so critical but if I don't like it, I don't like it. The reason I didn't like this book was because of the pace of the story. The romance develops too fast, which takes away from the development of the story and the characters.The whole story was a bit flat really, I didn't have a connection with any of the characters and if I'm honest, if this hadn't been the only book I had to read on a three hour plane journey, I would have put it down.I disliked both of the main characters, they were ridiculous. I'm anti-abortion too but to plan to stay together forever and raise a baby at what, 16, is a bit silly, especially since they only met about four weeks prior to her getting pregnant. Seriously? 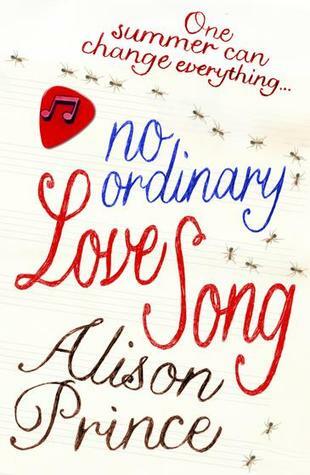 !Sorry Alison Prince but your writing just isn't my cup of tea. I can now express how much I hated every second I wasted on this book.It's too fast, cliché, boring, predictable and really has no point at all. I just can't find a legit benefit out of it. I don't like this book at all. Everything started so quickly. And it is as if I don't even know who 'I' am!